Catholic News World : What is Advent? 3 Things to SHARE plus FREE #Advent Ressources! What is Advent? 3 Things to SHARE plus FREE #Advent Ressources! 1. 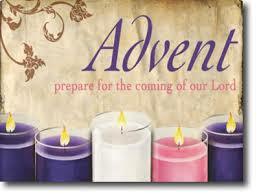 ADVENT comes from the Latin ad-venio, meaning to come to. 2. Advent is a period beginning with the Sunday nearest to the feast of St. Andrew the Apostle (30 November) and involving four Sundays. The first Sunday may be as early as 27 November, and then Advent has twenty-eight days, or as late as 3 December, giving the season only twenty-one days. In the Massthe Gloria in excelsis is not said. The Alleluia, however, is retained. During this time the solemnization of matrimony Benediction) cannot take place; which prohibition binds to the feast of Epiphany inclusively. The celebrant and sacred ministers use violet vestments. An exception is made for the third Sunday (Gaudete Sunday), on which the vestments may be rose-coloured. Flowers and relics of Saints are not to be placed on the altars during the Office and Masses of this time, except on the third Sunday. The preparation for the feast of the Nativity of Our Lord was not held before the feast itself existed, and of this we find no evidence before the end of the fourth century, when, according to Duchesne [Christian Worship (London, 1904), 260], it was celebrated throughout the whole Church, Several synods had made laws about fasting to be observed during this time,. Beginning the Church's liturgical year, Advent (from, "ad-venire" in Latin or "to come to") is the season encompassing the four Sundays (and weekdays) leading up to the celebration of Christmas.